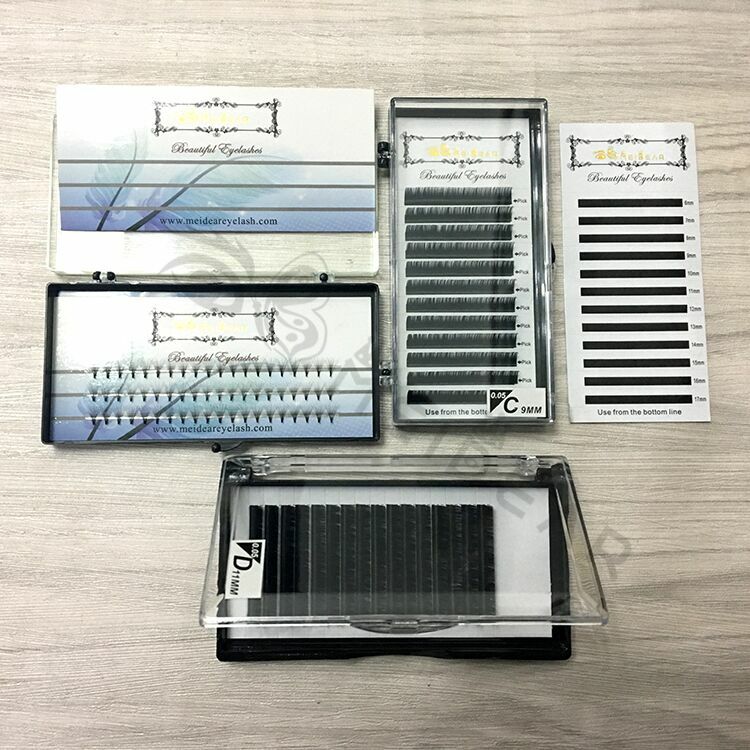 Bulk premade fans volume eyelash extension with brand name design.With the development of the Volume eyelashes extension technology, technician can stacked more and more vloume eyelashes on each natural eyelashes because these volume eyelashes are lighter, thinner, staggered and fanned shapes.The Classic application is limited by the quantity of customers natural eyelashes, if customers natural lashes are thin,the technician need to add more volume eyelashes on your natural eyelashes. 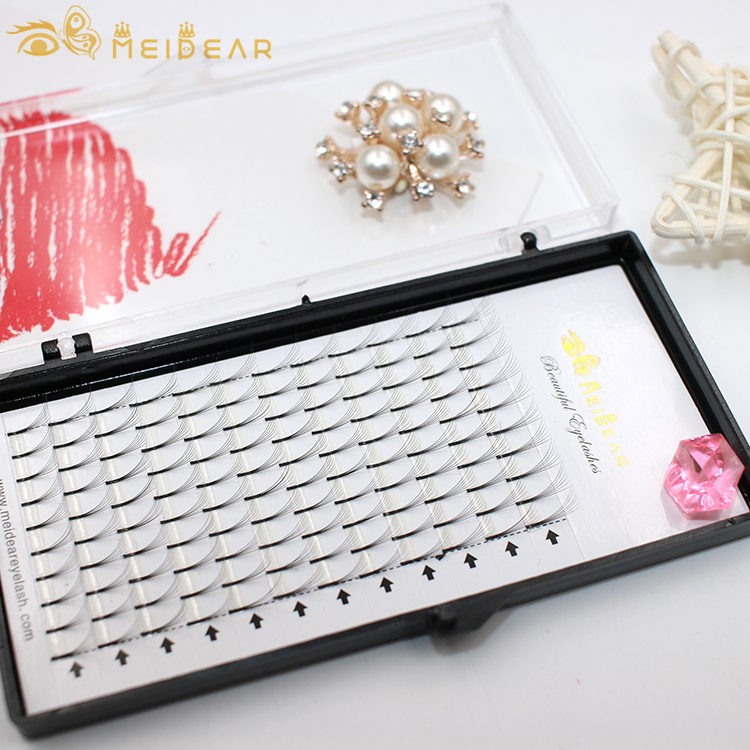 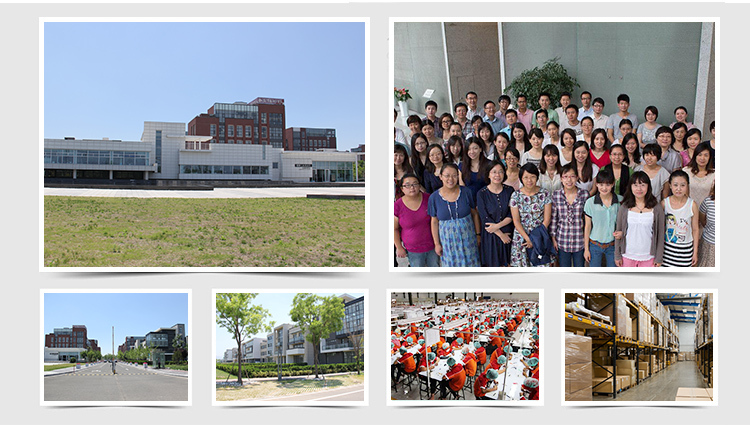 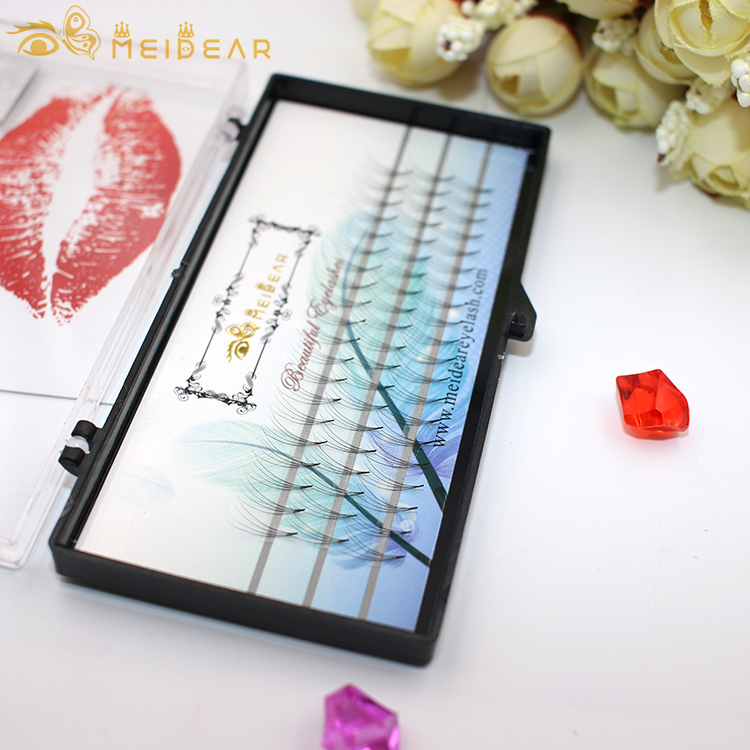 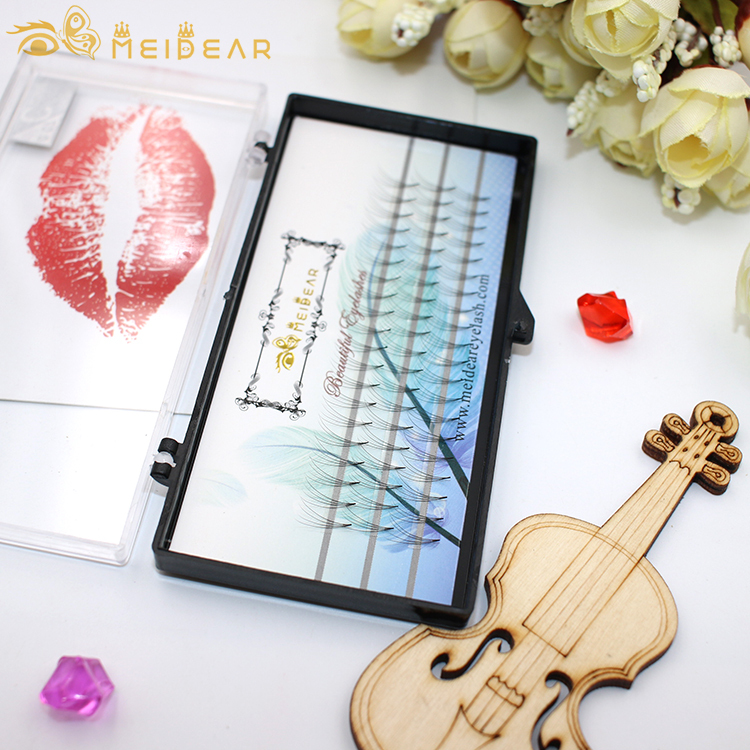 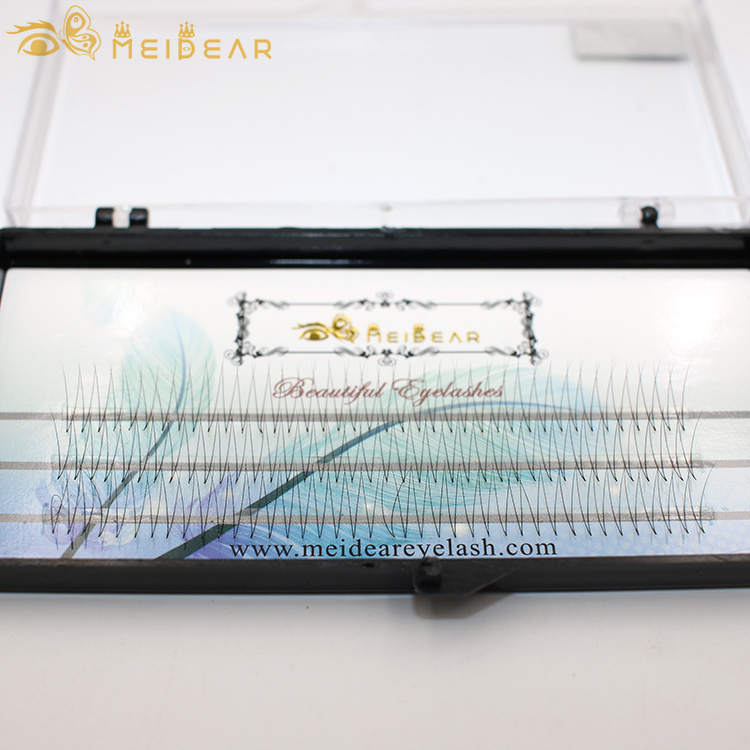 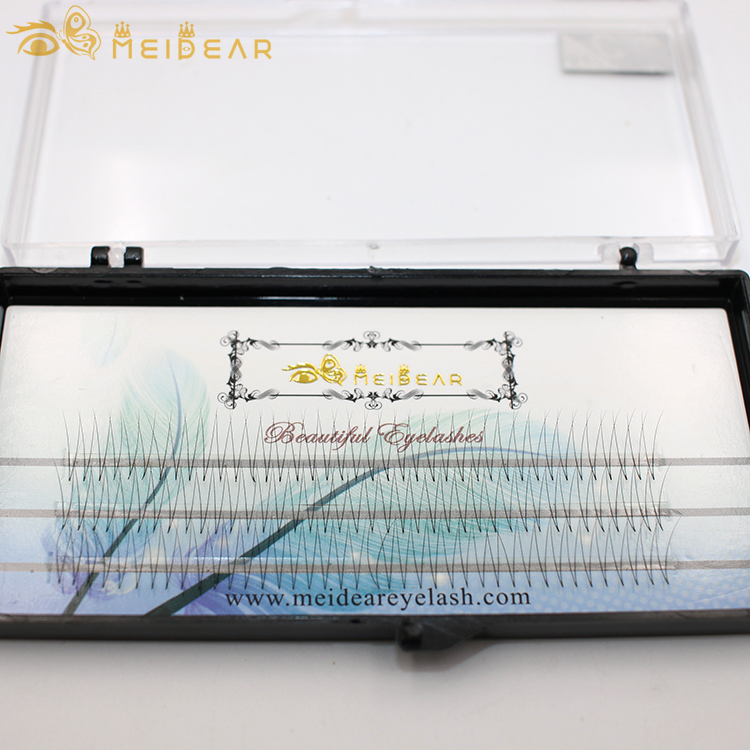 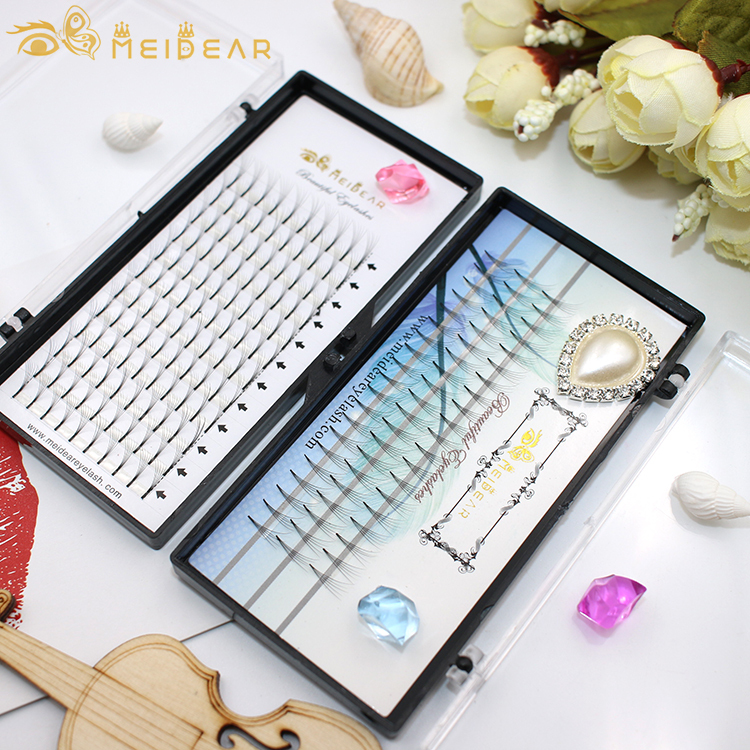 Volume eyelashes are the newest thchnology in eyelash trade and provide a new choice for customers.Meidear volume eyelash extension provide knot free fans are made from soft and elastic 0.05mm,0.07mm,0.10mm and 0.15mm, they are ultra-light , thin and without the gule remains. 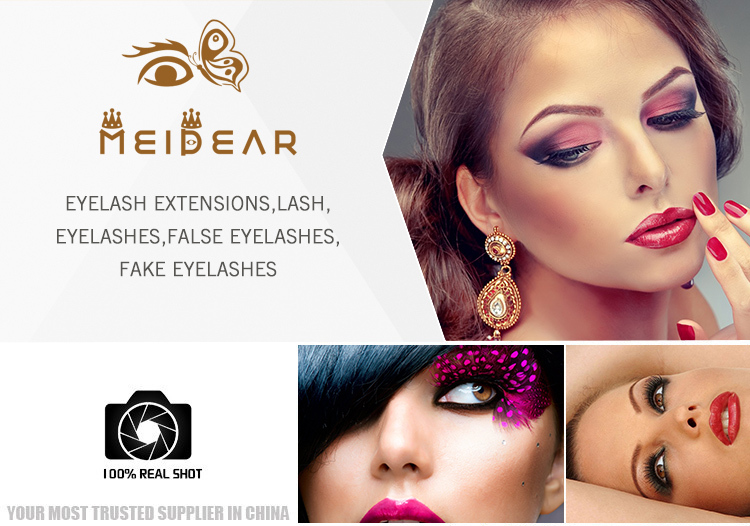 They look very natual. 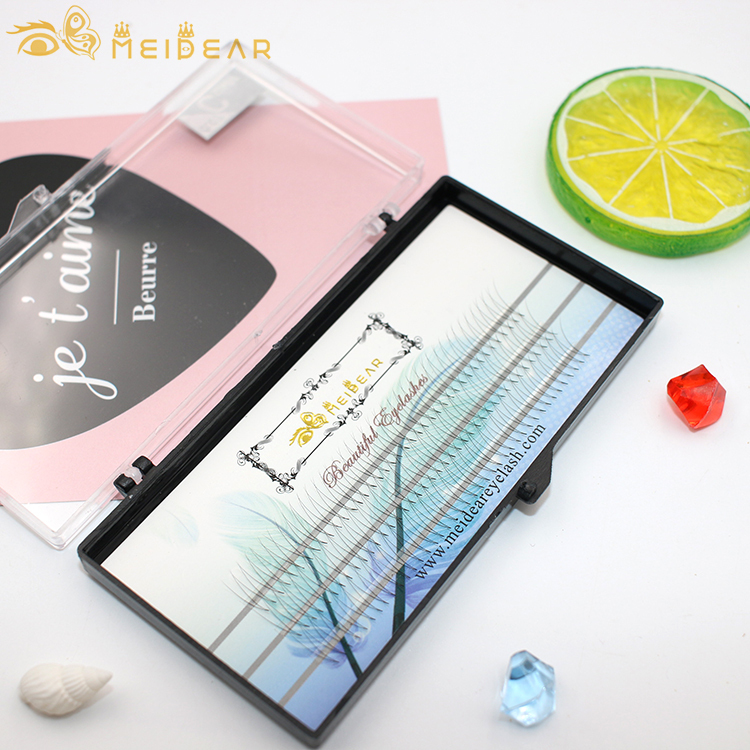 The fans can be taken our from the tape easily, using the fewest glue to fix,especially the short base.